An extra dining opportunity will be offered this holiday season at the Grand Floridian Resort’s 1900 Park Fare. 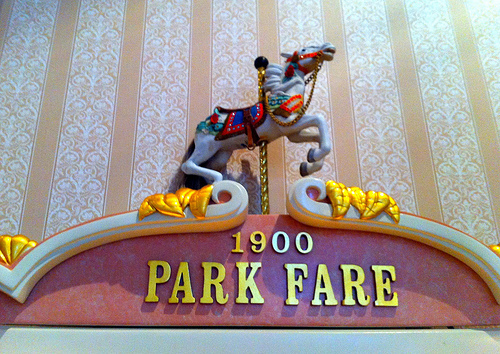 A Grand Brunch at 1900 Park Fare will begin on November 22 – November 28, then returning from December 20, 2015 to January 2, 2016. With a menu featuring carved herb-roasted New York strip loin, made-to-order omelets and eggs, carved floribbean jerk turkey breast, vanilla french toast, peel-n-eat shrimp, Mickey waffles, bread pudding and a breakfast burrito bar. The prices for this brunch will be $23.99 for adults and $12.99 for children ages 3-9. Reservations are available online now, for more information and to make a reservation check it out here!